THE rising cost of natural gas has been outlined as one of the key reasons a proposed $1billion Gladstone Energy and Ammonia plant should go ahead. 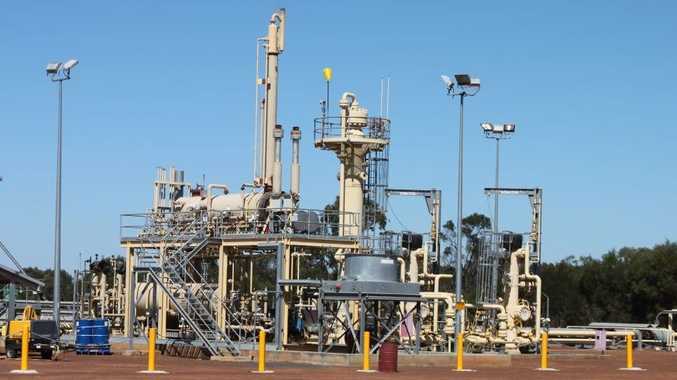 Australia Future Energy outlined in its Initial Advice Statement to the Coordinator General that the proposed Gladstone State Development Area project would offer a cheaper, more reliable gas and ammonia supply to domestic users. The company plans to build an above-ground coal gasification plant at Aldoga. It would produce 330,000 tonnes of ammonia and eight petajoules of syngas a year from low-quality coal. Ammonia user and ammonium nitrate producer Orica told The Observer rising gas prices were a concern. It's estimated that natural gas feedstock makes up 80 per cent of the cost of ammonia production. "We believe rising gas prices are unsustainable for Australian manufacturers and more needs to be done to address this," an Orica spokesperson said. In its statement Australia Future Energy said the project could "future proof" ammonia production in Australia. "The project ensures that the manufacture of ammonia can continue in Australia even with rising gas prices," the IAS said. "The alternatives to the project are all dependent on the availability of natural gas at low prices, failing which the local manufacture of both ammonia-based fertilisers and ammonium nitrate will struggle to compete with imports into Australia." Ammonia is also the main raw material for the production of ammonium nitrate used as an explosive in the coal mining industry. Last week the Coordinator General announced the project had received 'coordinated project' status, which can 'fast track' its delivery.